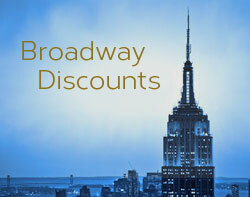 BroadwayBox Discount Code for select performances. REGULAR PRICES ARE $79-$139. Discount up to 30% with promo code. Expires December 24, 2017. Goldstar: Goldstar has discount tickets to The Play that Goes Wrong. Prices vary by performance. Goldstar is a national provider of discounted entertainment tickets. 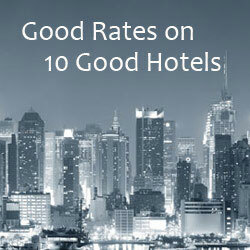 Their offers are often last-minute and availability changes frequently. Rush Tickets: A limited number of $30 rush tickets will be available for purchase at the Lyceum Theatre when the box office opens on the day of the applicable performance. Tickets are limited to two per person, will be seated in partial view seats, and are subject to availability. TKTS Booths: The TDF website lists The Play That Goes Wrong tickets availability at TKTS booths as “frequently”. There are four TKTS booths in New York City that sell in-person, same day, discount theater tickets. The TKTS booths are operated by the Theatre Development Fund, a non-profit dedicated to sustaining and sharing the arts and developing audiences for the future. When you buy from the TKTS booths, you’re getting a deal on tickets and helping support the TDF. The tickets they sell are up to 50% off the regular prices. They charge a $5.00 service fee. See TKTS booth locations and hours. Lyceum Theatre box office hours: Monday – Saturday: 10:00 a.m. to 8:00 p.m.; Sunday: Noon to 6:00 p.m. When there is an evening performance, the box office is open until curtain.